http://www.wired.com/culture/culturereviews/magazine/17-10/st_best1. Back in my day, we only needed 140 characters. September 22, 2009 by Marc. Posted in Cool Links, Online Stuff, Videos. August 10, 2009 by Marc. October 18, 2006 by Marc. Urban Legends Reference Pages: Inboxer Rebellion (Thousand Dollar Bill) No, you're not going to be receiving money, merchandise, or free trips from Bill Gates (or anyone else), no matter how many people you forward this message to. Tracing all recipients of an e-mail message is not yet technically possible, and even if it were, Bill Gates certainly wouldn't be testing software that performed such tracking by blindly sending messages out to the Internet with a promise of financial reward to the recipients. Big companies don't do business via chain letters and there are no computer programs that track how many times an e-mail is forwarded, let alone by whom. Bill Gates is not giving you $1000, and Disney is not giving you a free vacation. There is no baby food company issuing class action checks. Proctor and Gamble is not part of a satanic cult or scheme, and its logo is not satanic. MTV will not give you backstage passes if you forward something to the most people. The Gap is not giving away free clothes. You can relax; there is no need to pass it on "just in case it's true." There is no kidney theft ring in New Orleans. No one is waking up in a bathtub full of ice, even if a friend of a friend swears it happened to their cousin. If you are hell bent on believing the kidney theft stories, see : http://urbanlegends.tqn.com/library/weekly/aa062997.htm . And I quote: "The National Kidney Foundation has repeatedly issued requests for actual victims of organ thieves to come forward and tell their stories." None have. That's "none" as in "zero." Not even your friend's cousin. Neiman Marcus doesn't really sell a $200 cookie recipe. And even if they do, we all have it. And even if you don't, you can get a copy at: http://www.bl.net/forwards/cookie.html . Then, if you make the recipe, decide the cookies are that awesome, feel free to pass the recipe on. If the latest NASA rocket disaster(s) DID contain plutonium that went to particulate over the eastern seaboard, do you REALLY think this information would reach the public via an AOL chain letter? There is no "Good Times" virus. In fact, you should never, ever, ever forward any e-mail containing any virus warning unless you first confirm that an actual site of an actual company that actually deals with viruses. Try: http://www.norton.com or http://www.mcafee.com . And even then, don't forward it. We don't care. And you cannot get a virus from a flashing IM or e-mail, you have to download it .... ya know, like, a FILE ! There is no gang initiation plot to murder any motorist who flashes headlights at another car driving at night without lights. If you're using Outlook, IE, or Netscape to write e-mail, turn off the "HTML encoding." Those of us on Unix shells can't read it, and don't care enough to save the attachment and then view it with a web browser since you're probably forwarding us a copy of the Neiman Marcus Cookie Recipe anyway. Craig Shergold (or Sherwood, or Sherman, etc.) in England is not dying of cancer or anything else at this time and would like everyone to stop sending him their business cards. He apparently is no longer a "little boy" either. The "Make a Wish" foundation is a real organization doing fine work, but they have had to establish a special toll free hot line in response to the large number of Internet hoaxes using their good name and reputation. It is distracting them from the important work they do. Also, the American Cancer Society does not give 3 cents for each person you forward e-mail to. They ask for you to donate money, they don't give it, as if they could know how many e-mails you sent out ... sheesh. If you are one of those insufferable idiots who forwards anything that "promises" something bad will happen if you "don't," - then something bad will happen to you if I ever meet you in a dark alley. Women really are suffering in Afghanistan, but forwarding an e-mail won't help their cause in the least. If you want to help, contact your local legislative representative, or get in touch with Amnesty International or the Red Cross. As a general rule, e-mail "signatures" are easily faked and mean nothing to anyone with any power to do anything about whatever the competition is complaining about. Another thing, just because someone said in a message, four generations back, that "we checked it out and it's legit," does not actually make it true. There is no bill pending before Congress that will allow long distance companies to charge you for using the Internet. Bottom Line ... composing an e-mail or posting something on the Net is as easy as writing on the walls of a public rest room. Don't automatically believe it until it's proven false ... ASSUME it's false, unless there is proof that it's true. Bookmark the following links to help discern truth or hoax: http://www.truthorfiction.com http://vil.nai.com/VIL/hoaxes.asp . March 17, 2006 by Marc. 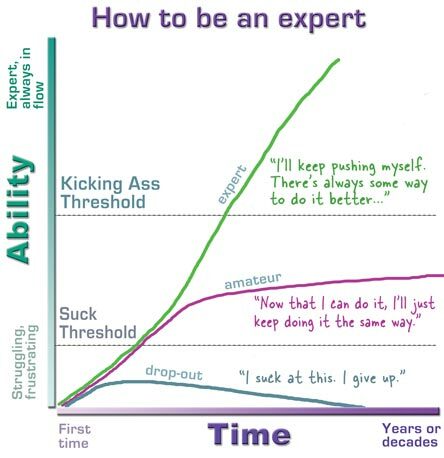 The only thing standing between you-as-amateur and you-as-expert is dedication. March 16, 2006 by Marc. January 9, 2006 by Marc. June 13, 2005 by Marc. 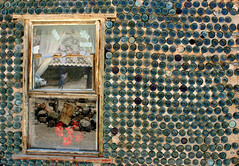 I guess this is kind of like Dad's idea for the wall Bottle House Originally uploaded by HearSeeNYC. May 12, 2005 by Marc. April 26, 2005 by Marc. April 24, 2005 by Marc. April 22, 2005 by Marc. April 20, 2005 by Marc. March 24, 2005 by Marc. An example: If you are age 50 earning $100,000, you should have $450,000 in savings and $75,000 of debt. Posted in Cool Links, Tidbits. March 23, 2005 by Marc. WASHERS - A Great American Game Wow, it has its own website. We play this at the lake. March 17, 2005 by Marc. January 12, 2005 by Marc.